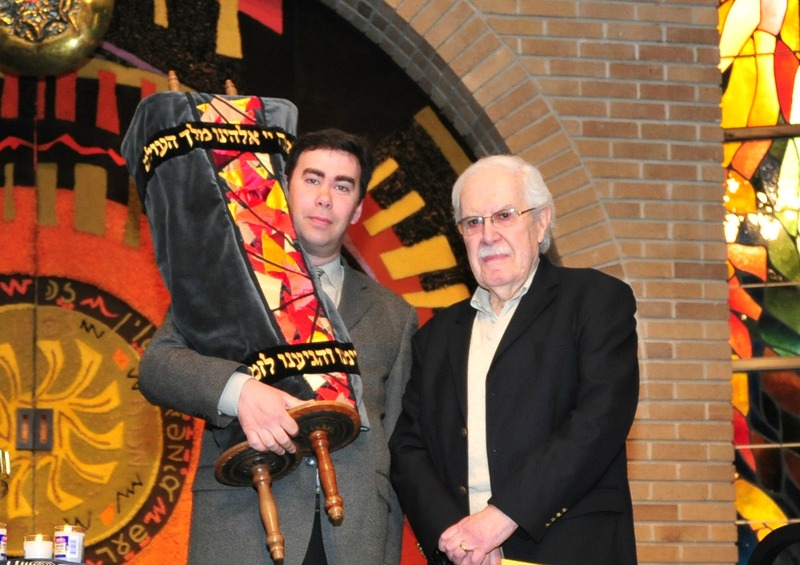 The restored Torah was dedicated at a Shabbat service on Friday, September 21, 1973, by Rabbi Louis J. Sigel (z”l). One of the honored guests at that ceremony was William Herc of Bergenfield—who had grown up in Plzen, and had read from this very Torah at his own bar mitzvah almost fifty years before. How did Temple Emeth come to receive this remarkable Torah? During World War II, the Nazis pillaged Torah scrolls and other ceremonial objects and warehoused them in Prague. There the scrolls remained, neglected and decaying, until the early 1960s. In 1963, Westminster Synagogue in London took responsibility for 1,564 scrolls. The Torahs were catalogued and repaired. Each Torah received a numbered brass plaque, identifying its origin and history. Over the next decade, restored scrolls were sent to synagogues around the world—including Temple Emeth. In 2001, Temple Emeth members Susan and Ellen Adler created a special Torah mantel for our scroll, in honor of their father, Peter Adler, a survivor of the Holocaust. The mantel was inspired by the stained glass windows of our sanctuary, and by the broken glass of Kristallnacht. Inscribed on the mantel are the beautiful words of the Shehechiyanu. 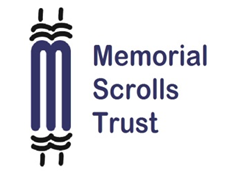 The Memorial Scrolls Trust, a U.K. nonprofit organization, gathers updated information about the Czech scrolls from the synagogues and other institutions that received them. You can learn more about the trust, and about the rescued Torahs, at www.memorialscrollstrust.org.